Bali experienced a tourism bump after the release of the movie version of Eat, Pray, Love, but don’t let the tourist throngs throw you. This 2,200-square-mile slice of paradise is well worth a visit in its own right. While it’s a phenomenal place to spend some of those hard-earned hotel points, today, we’ll focus on all the ways to use your airline miles to get there. Mileage amounts listed are for travel to/from the continental US. Bali is fun and full of unique experiences. Just a quick note: I also traveled to the Indonesian island of Sumba to visit Travel + Leisure’s 2016 #1 resort in the world, Nihi Sumba, and had an amazing experience. There’s one daily nonstop flight from Bali to Sumba on Garuda Indonesia that costs about $150 round-trip. Unfortunately, I was unable to find any award availability using SkyTeam partner miles like those of Delta or Korean Air for that flight, but if you’re already planning on being in Bali, it’s a cheap enough jaunt to hop over to Nihiwatu and experience this one-of-a-kind place. I’d highly suggest a visit to Sumba and Nihiwatu, just a short flight from Bali. Now, on to the airline and mileage options. The main airport on Bali is Ngura Rai International Airport, abbreviated as DPS because it is just outside the capital city of Denpasar. It is located toward the southern tip of the island near many of the beach resorts, though it’s bit of a drive from some of the cultural sights and resorts up in Ubud. Here are the major airlines currently flying there. There are plenty of connection points if you want to get creative. As you can see, there are quite a few options, but there are some missing ones as well given Bali’s location and connections to/from the US. For example, though neither ANA nor JAL fly to Bali from Tokyo Narita (NRT) or Haneda (HND), you could fly to Tokyo from the US then connect there and continue on to Hong Kong and fly Cathay Pacific to Bali, or to Bangkok (BKK) and fly THAI from there. For that reason, instead of focusing on just a few airlines and how they fly to Bali, for this guide, let’s pick a few of the best mileage currencies for getting from the US to Bali whether on a single carrier or an award with a mix of airlines. First, let’s look at the various miles and points you can use and the airlines to which they apply that you might be interested in flying to Bali. Note that I haven’t listed all the partners of each program, only the ones on which it would be possible to use these specific miles to fly all the way to Bali or as part of an award containing a mix of carriers. That’s a lot of numbers to keep track of, but here are some of the best mileage programs for flying to Bali including ideas of how to put each to use, as well as their major transfer partners. Fly a carrier like Asiana using your Aeroplan miles. Aeroplan is the mileage program of Air Canada, so you can use these miles to fly any number of Star Alliance carriers including Air Canada, ANA, Asiana, EVA, Singapore, Thai and United. The program is a transfer partner of both American Express Membership Rewards (at a 1:1 ratio) as well as Starwood Preferred Guest, and when you transfer SPG points in 20,000-point increments, you get a 5,000-mile bonus. Aeroplan also regularly offers bonuses like this one on transfers from its other partners. Now for the fun part: mixing and matching awards. As you might have noted from the list of airlines flying to Bali above, the only Star Alliance carriers that fly both to the US as well as to Bali are EVA and Singapore Airlines. That would seem to limit your options, but you can also mix up your carriers and fly, say, ANA to Singapore via Tokyo then Singapore Airlines on to Bali like in this example. Or you could fly United to Taipei, EVA to Bangkok and Thai to Bali. Or, due to the program’s lax routing rules, you could even fly via Europe, like with this business-class itinerary that includes a leg on Lufthansa’s A350. Aeroplan has a pretty great Star Alliance search engine, so if you’re flexible and have a bit of time to search, you’re bound to find some interesting options. Just beware that taxes and fees can be several hundred dollars on some airlines — notably Air Canada’s own flights and those on European partners like Lufthansa and Swiss. Use your Alaska miles to fly Cathay Pacific first class. Of the carriers you can book, only Cathay, Emirates and Korean fly to Bali themselves, so those are the three airlines to examine. Here are the miles you’ll need to fly each one-way from the US to Bali. Keep in mind that Alaska is a transfer partner of Starwood Preferred Guest, and you get a 5,000-mile bonus on transfers of 20,000 points. Cathay Pacific flies to Boston (BOS), Chicago (ORD), Los Angeles (LAX), New York (JFK), Newark (EWR), San Francisco (SFO), Toronto (YYZ) and Vancouver (YVR) and Washington Dulles (IAD) in September 2018. From Hong Kong (HKG), the airline operates a daily nonstop flight to Bali, while its subsidiary, Dragonair, operates a non-stop on Thursdays and Sundays. You could also opt for Emirates, but it’ll cost you a lot of miles. Emirates is based in Dubai (DXB) and operates a mix of A380s and 777s on its routes to both the US and 777s to Bali. It currently has 12 US destinations including Boston (BOS), Chicago (ORD), Dallas (DFW), Houston (IAH), Los Angeles (LAX), New York (JFK), San Francisco (SFO) and Washington (IAD) among others. But award availability is decent. Korean Air is a member of SkyTeam, but it’s also non-alliance partners with Alaska. It flies from Seoul (ICN) to Atlanta (ATL), Chicago (ORD), Dallas (DFW), Houston (IAH), Las Vegas (LAS), Los Angeles (LAX), New York (JFK), San Francisco (SFO), Seattle (SEA) and Washington (IAD). Korean operates one non-stop to Bali daily, with a second on Thursdays and Sundays. Alaska will charge you the following miles each way to fly it to Bali. Not such a great deal, and you’re better off using Delta SkyMiles for this particular option, as you will see below. American Airlines is a member of Oneworld, so you can use its AAdvantage miles to fly several different carriers to Bali. One thing to note, though, is that American has some strict award routing rules. The major one to keep in mind for getting to Bali, which is in the AAdvantage award chart’s Asia 2 region, is that you can only transit via another destination in Asia 1, which includes Japan and Korea, or Asia 2, which includes most of Southeast Asia as well as China, Hong Kong and Taiwan. So that does limit you somewhat, in that you couldn’t use AAdvantage miles to fly from the US to Bali via Doha (DOH) on Qatar Airways, unfortunately like in this example. But you can still fly on a mix of carriers like American, Cathay Pacific, JAL and Malaysia Airlines via hubs in Asia. Fly JAL part of the way using your AAdvantage miles. Now for the other drawback. American’s website doesn’t display award availability for JAL, Malaysia Airlines or Cathay Pacific, so I’d suggest using BritishAirways.com instead. It can be a bit clunky, but it does a good job at rounding up Oneworld award availability. Here, for example, is a mixed award on Cathay Pacific via Hong Kong in business class (or premium economy if you wanted to use your Alaska miles). And then searching Tokyo (NRT)-Bali (DPS) separately for an award with connecting flights on Cathay Pacific via Hong Kong or Malaysia Airlines via Kuala Lumpur (KUL). That’s the tricky part, finding both the flights to/from the US and a layover less than 24 hours in each of the other cities so that it all books out as a single award. If you do, though, you can call American to book it all together. 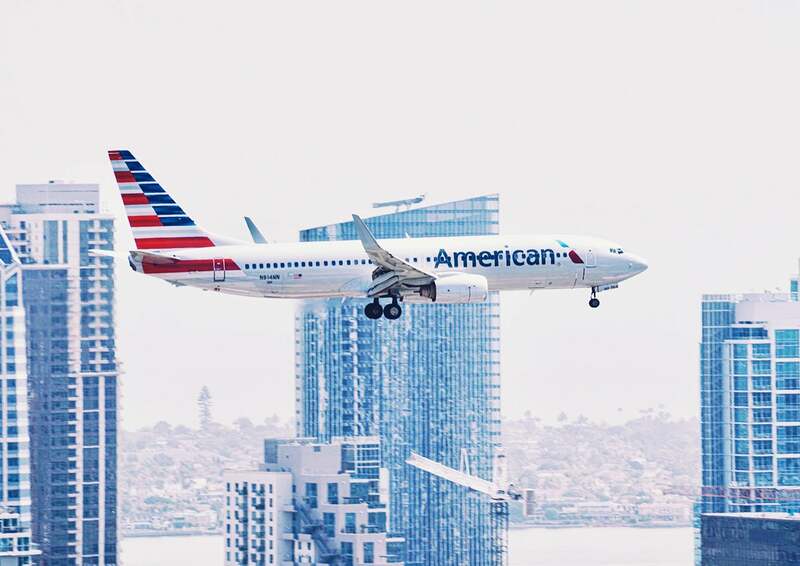 American AAdvantage is a transfer partner of Starwood Preferred Guest. ANA doesn’t fly all the way to Bali, but you can use its miles to do so. ANA, or All Nippon Airways, is one of the two major carriers in Japan. Though ANA doesn’t fly to Bali itself, many of its Star Alliance partners do. The airline is also partners with other carriers like Garuda, but unfortunately you can’t mix alliance and non-alliance carriers on awards with ANA. You can, however, mix Star Alliance carriers and fly combinations like United, ANA, EVA, Thai and more. Not only are ANA’s redemption rates quite low, but its mileage program is also a transfer partner of both American Express Membership Rewards and Starwood Preferred Guest. ANA’s zone-based chart has some good values. The ANA award search is generally pretty good at finding award space, but the interface can be very byzantine, so instead, I’d suggest using Aeroplan to narrow down your search before plugging the specifics into the ANA search engine and booking from there. This might also be a good strategy because, though I could find Star Alliance awards using Aeroplan’s and United’s websites, they did not show up with ANA’s web search. However, the phone agent I spoke to was able to see the same award availability I’d found on the other two sites, so you might end up having to call in to book your award. Of Delta’s SkyTeam partners, the ones that fly from the US to Bali include China Airlines from Taipei (TPE), China Eastern from Beijing (PEK) and Shanghai (PVG), China Southern from Guangzhou (CAN) and Shenzhen (SZX), and Korean Air from Seoul (ICN). All four airlines typically display decent award availability to/from the US and continuing on from their hubs to Bali. In the US, China Airlines, China Eastern and China Southern all fly to Los Angeles (LAX), New York (JFK) and San Francisco (SFO). Some awards pricing out at the saver level even transited through Sydney (SYD). Garuda wants to launch a route to the US this year. The other major option to look into is Garuda Indonesia. Though it doesn’t currently fly to the US, the airline has announced plans to launch a route from its hub in Jakarta (CGK) to Los Angeles (LAX) via Tokyo (NRT), so that might be another option. As of publish time, the airline operates over a dozen flights daily to Bali from its hub in Jakarta as well as a few nonstop routes from international destinations. For example, there’s a daily nonstop flight from Tokyo Narita, as well as a nonstop six days a week (the flight lays over in Jakarta on Wednesdays) from Seoul (ICN). That makes Garuda a good mix-and-match connecting partner with Delta and Korean Air flights from either destination thanks to those two airlines’ flights. I would suggest searching for awards on Delta.com since the site’s award search engine tends to be pretty good at pulling up SkyTeam award availability for all four of these carriers as well as Delta’s own flights. When you do search, you’re likely to come up with a mix of carriers. For instance, here’s an award with flights from New York (JFK) to Guangzhou (CAN) and on to Bali on China Southern with both economy and business availability. Interestingly enough, most of the rock-bottom 40,000-mile saver availability I’m finding actually routes you through Australia on Delta’s own Los Angeles-Sydney flight then routes you to Bali on Garuda from there. Personally, I’d rather spend 5,000 more miles to save a lot of travel time, though. And if you have some flexibility, there are some awards on a mix of Delta and Korean, including on from Detroit (DTW) to Seoul (ICN) on Delta’s A350 flight for that 40,000-mile level in economy and about 105,000 miles in business. And just for variety, here’s a one-way flight on the return from Bali to Seattle (SEA) via Tokyo Narita (NRT) on a mix of Garuda and Delta with availability in both economy and business class. The mix of carriers will depend on your flight dates. If there’s one in particular you want to fly, or one you want to avoid, I would suggest double-checking award availability by searching segment by segment and seeing if different awards show up. If they do and you can’t get the entire itinerary to price out properly with your search, you can call Delta with the specific flights and dates and ask a phone agent to book it for you. That said, Delta.com does a good job at pulling in award availability and giving you all the options. I recently flew Korean Air first class from Bali-New York myself. 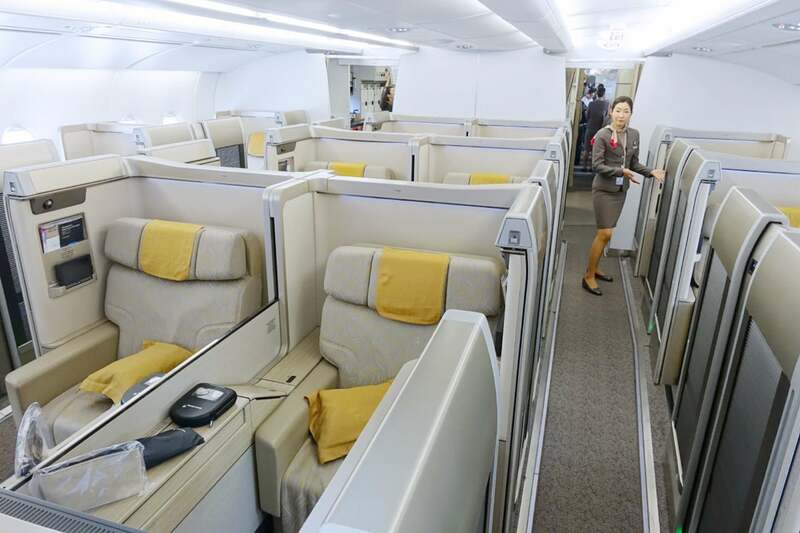 Korean Air is another SkyTeam member, and it makes this list for a few reasons. First, it’s a transfer partner of both Chase Ultimate Rewards and Starwood Preferred Guest, so there are some great options to top up your account. Second, award availability on Korean Air itself seems to be back to its usual great availability, making it one of the best choices for getting from the US to Bali. Just note that these mileage amounts are for Korean’s off-peak (i.e., saver-level) awards, but that peak awards like over the summer can be much higher. Here’s a sample round-trip award from Los Angeles (LAX) to Bali in August/September — as you can see, there is plenty of award availability on several flights. TPG actually transferred part of the 100,000-point sign-up bonus from getting the Chase Sapphire Reserve (the bonus has since been lowered) to his Korean SkyPass account for a first-class redemption from Bali to New York via Seoul. Here’s a sample economy award from Atlanta (ATL) to Bali on a mix of Korean, Delta and Xiamen. Look at those taxes and fees, though! I also find Korean’s SkyTeam award search to be a bit wonky, so I prefer to use Delta.com for searches on other carriers, and then call in to SkyPass to put awards on hold and book from there. 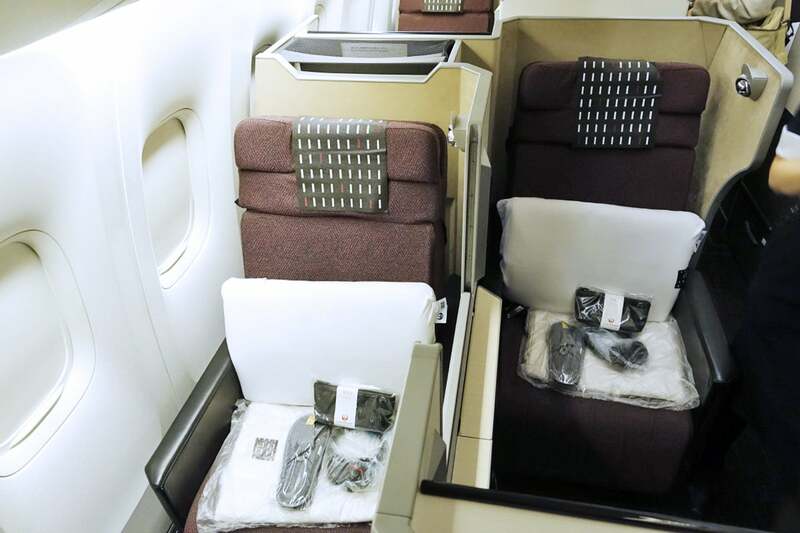 Singapore Airlines makes it relatively easy to redeem your miles for premium awards on its own flights. Although Singapore recently made it (somewhat) possible to book partner awards online using KrisFlyer miles, it’s still a bit of a rigmarole. However, the program can be an especially good option for flying to Asia, including Bali, on Singapore Airlines itself for a couple reasons. First, the program is a 1:1 transfer partner of Amex Membership Rewards, Chase Ultimate Rewards, Citi ThankYou Rewards and Starwood Preferred Guest, so there are a ton of ways to stock your account with miles. Just note that transfers aren’t instantaneous. Second, Singapore makes more awards available to its own KrisFlyer members, especially close to travel dates. Singapore flies from Los Angeles (LAX) to both Tokyo (NRT) and Seoul (ICN) then on to Singapore (SIN) from either; from San Francisco (SFO) to Hong Kong (HKG) and Singapore; and from New York (JFK) to Singapore via Frankfurt (FRA). Once in Singapore, you can continue on one of the airline’s several daily flights to Bali. Here’s a sample business-class award using KrisFlyer miles from San Francisco to Bali via Hong Kong and Singapore. Though United devalued its award charts a while back, including raising prices on premium awards on both its own flights and those of its partners, its MileagePlus program might still be a good option for some folks. That’s because it’s a 1:1 instant transfer partner of Chase Ultimate Rewards, so it’s easy to keep that mileage balance high. It’s also a transfer partner of SPG, but at an unattractive ratio of 2 Starpoints to 1 United mile. Like Air Canada’s Aeroplan, using United miles gives you access to awards across the Star Alliance, including on carriers like ANA out of Japan, Asiana out of South Korea and EVA out of Taiwan. There are so many ways to use your United miles thanks its membership in Star Alliance. I’ll keep this entry brief because we already discussed these options in the Aeroplan section above, and as you can see there, there are plenty of options to mix and match carriers according to your schedule and preferences. While United.com and Aeroplan.com tend to show the same award availability, there are a couple of differences. Namely, United does not show Singapore Airlines award space whereas Aeroplan does. So if you’re looking to use your miles on that particular partner, you’re better off searching Aeroplan then calling United with the flight numbers and details. That said, the search engine pulls in almost all other Star Alliance award availability, and you’re likely to find tons of awards on a mix of carriers including EVA and Singapore. If you do find an itinerary where the transpacific segment is on United, you can expect to pay far fewer miles in those premium cabins. Although Bali is about as far from the US as you can get with limited one-stop options available, thanks to its popularity as a resort destination, there are plenty of ways to combine airlines and points and miles to book tickets there, including in premium classes of service. Feature image by Francisco Goncalves – Getty Images.